The theme of this year’s Hackaday Prize is to build something that matters, and there is nothing more important than water quality and pollution. Everything we eat and drink is influenced by the water quality in rivers and reservoirs. C4Derpillar, a semifinalist for the Hackaday Prize, is solving the problems of water-related health issues with innovative sensors for under $500 USD per unit. Commercial CE equipment costs tens of thousands of dollars. The team behind the C4Derpillar are hoping to develop their pollution monitoring device and make it available for about $500 USD. That’s cheap enough for multiple pollution monitoring stations in the third world, and by pushing the results to the cloud, the C4Derpillar will be able to monitor pollution in real time. You can check out C4Derpillar’s Hackaday Prize video below. We have seen a few projects that convert a rotary dial for use with modern technology, but this one adds a new twist to the mix: it uses Bluetooth 4.0. [Silent] used a Nordic Semiconductor NRF51 DK development board for the project, which was built from the Nordic SDK source code for creating an HID (Human Interface Device). After what he claims was an hour or so of hacking, he was able to get this Arduino-compatible SoC dev board to detect the pulses from the rotary dial, then pass the appropriate number to a connected device as a key press. This means that his design should work with any device that has Bluetooth 4.0 support. It is powered from a big dry cell because, to quote [Silent], “small coin batteries are not hipster enough”. It’s a simple project, and we have seen rotary cell phones before, but this still is ripe for expansion. You could either use a smaller, cheaper version of the Nordic chip at the center of this hack, as most of the dev board features aren’t used. Or you could do some more hacking, add support for the Bluetooth HSP headset profile, then wire it up to a vintage phone for the most hipster Bluetooth headset ever. We can’t wait until we see a hipster sitting in a coffee shop banging away on a typewriter and answering this. Get to it, people! Radio enthusiasts have a long history of eavesdropping on non-broadcast stations–police, fire, and public transportation frequencies, for example. These days, though, a lot of interesting communications are digital. When [bastibl] wanted to read data displayed on bus stop signs, he turned to software defined radio. He used gr-fosphor to monitor the radio spectrum as buses drove by and discovered a strong signal near 151 MHz (see photo below). That, however, was just the start. Using a variety of tools, he figured out the modulation scheme, how the data framing worked, and even the error correction scheme. Armed with all the information, he built a GNU Radio receiver to pick up the data. A little number crunching and programming and [bastibl] was able to recover data about individual buses including their position and schedule. Ever heard of the Mellotron? It was a British made audio sampler that used the most cutting edge technology available back in 1963… Magnetic tapes. You could record different sounds, music, beats or rhythm onto these magnetic tapes, and then play it back with the keyboard, much like a MIDI Sampler keyboard today. Well, someone has gone and made a newer version of one. He calls it the Crudman, and it’s the same concept of a Mellotron, but uses slightly more modern components. Specifically, audio cassettes. A MIDI keyboard sends output commands to a series of cassette players outfitted with Teensy microcontrollers. Depending on the settings, pressing a key can speed up or slow down a tape in order to generate a note. If it sounds simple, trust us, it’s not. The project has been a labor-of-love for the unnamed creator, who has spent nearly 10 years designing it. He now sells them (but demand is pretty high) — you’ve gotta take a listen — they produce some of the most unique sounds we’ve ever heard. Microcontrollers existed before the Arduino, and a device that anyone could program and blink an LED existed before the first Maker Faire. This might come as a surprise to some, but for others PICs and 68HC11s will remain as the first popular microcontrollers, found in everything from toys to microwave ovens. Arduino can’t even claim its prominence as the first user-friendly microcontroller development board. This title goes to the humble Basic Stamp, a four-component board that was introduced in the early 1990s. I recently managed to get my hands on an original Basic Stamp kit. This is the teardown and introduction to the first user friendly microcontroller development boards. Consider it a walk down memory lane, showing us how far the hobbyist electronics market has come in the past twenty year, and also an insight in how far we have left to go. 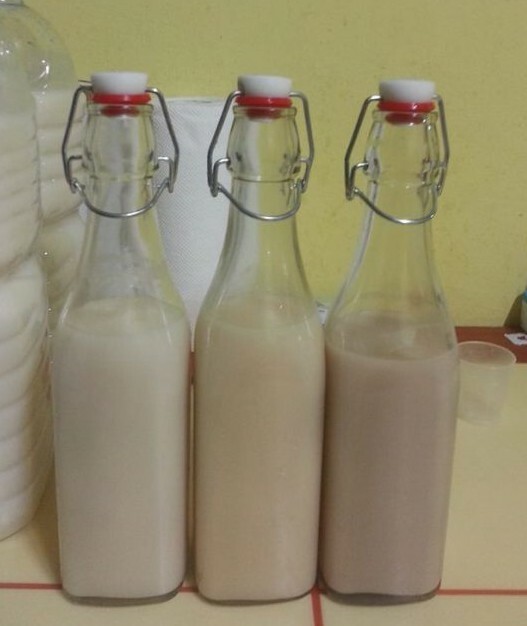 It’s no secret that hackers like fermentation, both the process and the end results. I myself have a crock of sauerkraut happily bubbling away in the kitchen right now. Fermentation can lead to tasty endpoints, and the process itself, which basically amounts to controlled rotting, is a fascinating set of biochemical reactions. But done wrong, fermentation can result in injury, as it did at CCC this year when a fermentation vessel exploded. We’ve seen lots of Hackaday projects involving instrumentation and automation of fermentation, including some with really large vessels. The potential for destruction if such a vessel isn’t properly vented is pretty high. At the very least, you’ll be left with a really big mess to clean up. Be careful out there – microbes are not to be trifled with. We don’t want to give you the wrong idea about CCC; this year was incredible as [Elliot Williams] reported during his time there. Now it’s off to the kitchen to check on my kraut. Learning Verilog for FPGAs: Hardware at Last! Getting into FPGA design isn’t a monolithic experience. You have to figure out a toolchain, learn how to think in hardware during the design, and translate that into working Verliog. The end goal is getting your work onto an actual piece of hardware, and that’s what this post is all about. In the previous pair of installments in this series, you built a simple Verilog demonstration consisting of an adder and a few flip flop-based circuits. The simulations work, so now it is time to put the design into a real FPGA and see if it works in the real world. The FPGA board we’ll use is the Lattice iCEstick, an inexpensive ($22) board that fits into a USB socket. Like most vendors, Lattice lets you download free tools that will work with the iCEstick. I had planned to use them. I didn’t. If you don’t want to hear me rant about the tools, feel free to skip down to the next heading.